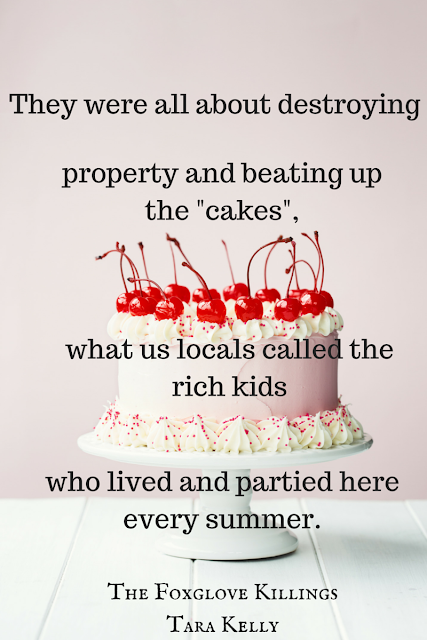 I also wanted to get in 500 words on my new WiP, A Love Turned Bitter, and I got in 699. Eight months ago, he had been close to declaring to Father his intentions of courting me. 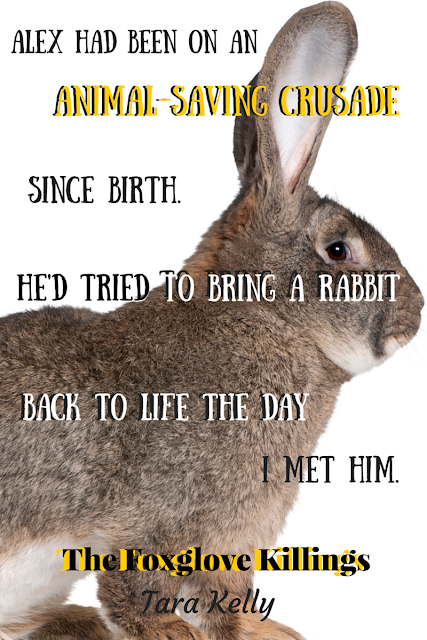 Then her brother died, I was blamed, and his attentions…stopped. I understood, of course. But understanding never helped a heart not feel pain. 3. The biggest challenge I faced this week: For once, not a lot. I was completely in the zone this week, so it wasn't a fight to make myself open up that Word doc. But we all know how it goes: next week I'll probably hit a sticky spot in revising or writing the WiP, and it'll take my fingers glued to the keys for me to get a single word down. The joys of writing! Finish revising the dystopian so I can get it to my critique partners. Done! Finish fast drafting a paranormal novel set in New Orleans. Done! * * * The lovely hosts of R.S.W! came up with a fun activity for our last post. Manuscripts & Manicures! I painted my nails to the theme of Necromancy in New Orleans. Lastly, I want to tell all my fellow R.S.W! participants & regular blog readers thanks so much for the weekly visits, comments, and encouragement! You helped make my summer goals happen, so hugs for all!! And of course, a big thank you to the hosts of R.S.W! : Jaime, Erin, Allison, Katy, and Elodie. 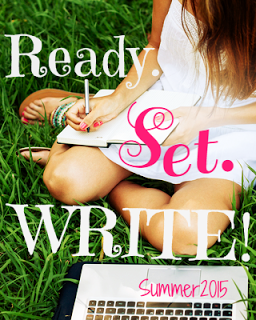 They take on a lot of work every summer to make this happen, as well as coming up w/the coolest writer care packages. Thanks, ladies!!! This book is intense. Very suspenseful, it kept me guessing to the end. If you want to read a book that is one of those gritty, realistic looks at teen life, then this is it. 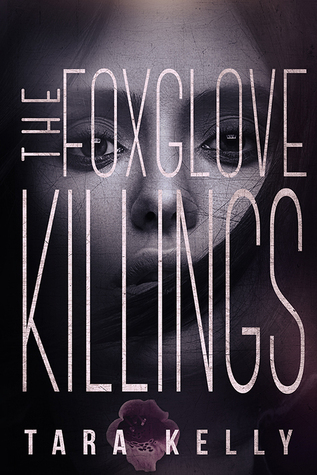 The Foxglove Killings doesn't pull any punches when it comes to what some teens mighht get up to in their spare time (but it's kept low-key, not too graphic, so no worries there). TFK also has a theme that I've always enjoyed (not murder, k? *wink*), that of a friend turning into something more. Nova and Alex are great characters. Besides their relationship, my next fav was between Nova and her grandfather. 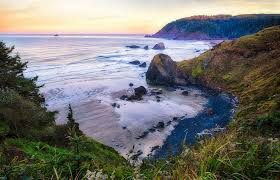 The setting is the Oregon coast line, which Tara Kelly did a great job of making it sound gorgeous and rustic and mysterious, all at the same time. 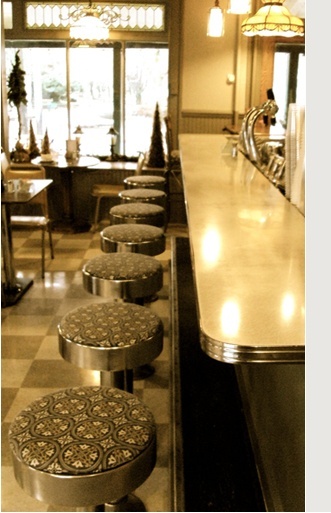 A good majority of the book takes place in a diner, and I always love restaurants in books, so another plus. Themes of family (and not the 'perfect' kind), mental illness, and bullying are strongly present too. If you're looking for a 'who-dunnit' kind of YA that isn't all rainbows and sunshine, I say pick this up! It recently came to my attention through Mary Fan, that one of her fellow Red Adept Publishing authors, Harvey Chute, is fighting stage IV cancer. RAP is kindly donating all sales for August & September to Harvey. Not only would it be wonderful to help him, but you also get a great-sounding historical in the process! A ruthless murder and a stolen shipment of gold. 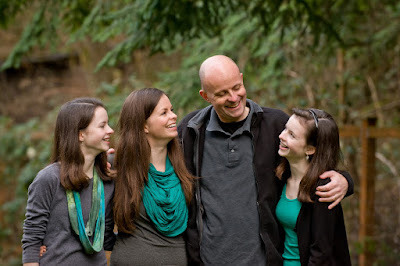 I also wanted to share this photo of Harvey and his daughters, along with an excerpt from his blog about what he feels is at the heart of his book, Stone and Silt. 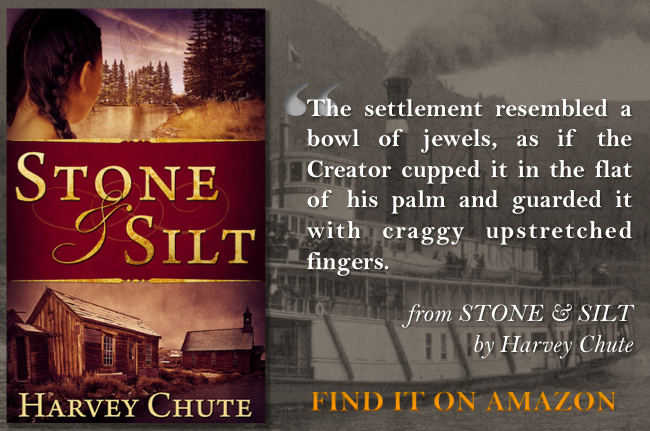 Stone and Silt is, at its heart, the story of a family. One that has tender moments, shares joy, faces peril, and experiences loss. In other words, it's like every family I know, to one degree or another. Nikaia, the main character, is a sixteen-year-old half-native, half-white girl. She's coming to grips with becoming a woman while in the midst of the worst jeopardy her family has ever faced. As a father of three daughters, I can empathize with the feelings of Nikaia's Papa. Seeing your girls mature and stretch before your eyes is at once heartwarming and terrifying. I really like beginnings. I love cracking open a cover and reading the first couple of pages of a book. 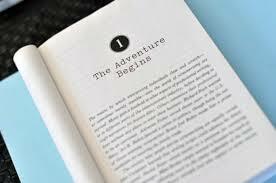 It's all new, all fresh, it's the first steps of an adventure. But then...After a bit, after a few chapters...It's not new any longer. I know the main character reasonably well (what they want, or what they're hiding) and their friends and where they live, and how their family life is. I've gotten a feel for their humor (or lack of, which for me, always stinks) and how they interact with others. I have SO many books on my shelves right now that I start, get a few chapters in, and then discard. And it's not that they're not good. They are good! 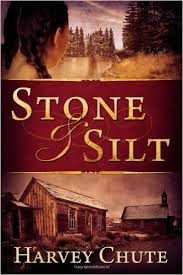 They have intriguing characters and setting and an interesting plot. But when I go to pick it up again, I see that other book out of the corner of my eye, waving charmingly at me. Saying, "Pick me up! 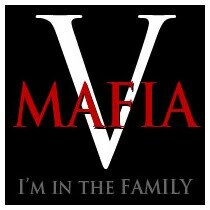 Read my beginning! There might be cookies, or a super sarcastic main character! Or sentient spaceships, or dragons. Maybe dragons eating cookies...?" I have an addiction to beginnings apparently. I guess I should just be glad it's not endings? So tell me, please, am I the only one who has a fascination with beginnings? 2. My goals for this week: To write 500 words on my new WiP, and from my critique partner's notes, get in at least 40 pages of revisions on my near-future thriller. 4. The biggest challenge I faced this week: I experienced one of those wonderful life changes (not marriage, divorce, or a new baby, lol!) and so the stress kind of threw me for a loop. But I didn't want to let it derail me from my goal of finishing, so I didn't. (Except stress eating? Good-bye, donuts!) Oh, and another challenge? The h key on my super old computer broke. It's now bare of a key and just the electrical board, and I have to press very firmly on it to get an h. Argh. 5. Something I love about my WiP: Need I say it again? That it's done!!! Weell...this draft anyway, but that first major hurdle is out of the way, and that feels wonderful. 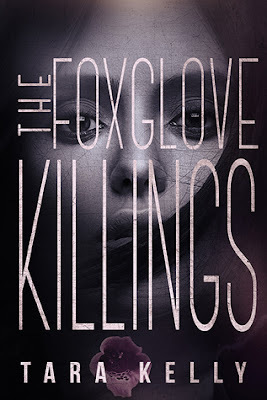 Thank you, Leandra Wallace, for inviting me to do a guest post on your blog today. So…funny story. 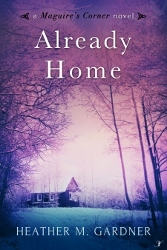 While writing my first book in the Maguire’s Corner series, Already Home, I experienced a major, colossal, way-too-long temporary halt. I mean really long. I couldn’t figure it out. I wanted to write. I needed to write. But, every time I would sit down to continue my WIP, it was all just blank and I couldn’t write another word. Everyone said, take a break…read books…do something different for a while. And I tried all of those things. But, I still couldn’t get back to writing the story. One day my mom/editor/biggest fan asked me what had happened to ‘that book’ I was writing. So, I told her. And as I explained my dilemma, it all clicked! EUREKA! I don’t like where the story is headed. I don’t want THIS to happen, I want THAT to happen! It all made sense. I couldn’t write the words, because I didn’t like the words. This happened again, just weeks ago. I started on book three in the MC series, which I intended to be about the third female Maguire cousin, but no matter what I tried, I couldn’t make her story work. I had nothing for her. I scratched and clawed and fought to come up with something, anything, to write for her, but to no avail. Finally, after lots of hemming and/or hawing, I figured out that book three wasn’t her book at all. She may get a story later on, but not right now. Book three will feature one of the male Maguire cousins, and he has a lot more going on in his life and will be SO much more interesting to write about. So, had I actually thought about WHY I couldn’t write instead of trying to force the words, I might have saved myself some serious frustration. Had I listened to my inner writer voice, or even talked it out with someone I could trust, maybe I could have gotten back to writing that much sooner. Do you fight with your words? Do you listen to your inner writer or do you shush that bugger up? Thanks again for letting me visit, Leandra. Author Catherine Bailey has answered some questions of the scaly and furry sort for us today. Read on to be thoroughly entertained! 1. Is the Loch Ness monster real? Yes. In fact he wrote me once but it was hard to read his handwriting because he has such big, thick fingers. Plus the paper was all wet. But I wrote him back anyway and we became pen pals. I think Nessy was upset that nobody believed in him, so I sent him a nice drawing of me riding him. 2. If the Cookie Monster ever got tired of cookies, what dessert do you think he'd fixate on next? If the Cookie Monster was anything like me, and I assume he is, he would move on to doughnuts. Doughnuts are the world’s most perfect food because you can eat them with your hands and they have icing on them. 3. Did you think there were monsters under your bed (or in your closet?) as a child? Yes, and it made me quite afraid of the dark. But then I realized that if there were monsters in my room, they were probably as scared of me as I was of them. Then I felt sorry for them, and would sing songs like “Twinkle, Twinkle Little Cyclops” to calm them down. 4. What monster do you think is most underappreciated? Well Nessy sure complains a lot, but I think the most overlooked monster is probably the ghost. I mean, everyone thinks he is so cute – floating around in his little twirly sheet, with his big dark eyes. But seriously, he doesn’t have feet! That’s just plain scary to me. 5. Would a monster with tentacles or a monster with claws win a monster throw down? Excellent, excellent question. Scientists have been trying to answer this one for years. The answer depends on how many tentacles versus how many claws. 6. What is your favorite monster from Mind Your Monsters? I’d have to say… the mutant octopus, because he is big and pink and the very first one to listen to Wally, my main character, when he says the magic word. Though the little purple guys come in a close second. Vampires and werewolves and zombies—oh my! It's a monster invasion, and the stinky-smelling creatures are destroying Wally's peaceful little town. They scare the kids, knock over the lampposts, and make a mess of everything. And no one can stop them—until, fed up, Wally says . . . the magic word, "PLEASE." Learning good manners has never been as monstrously fun! 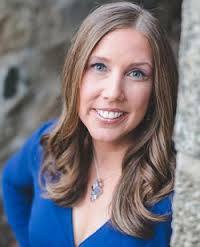 Catherine Bailey is a former attorney and current children’s author from sunny Florida. 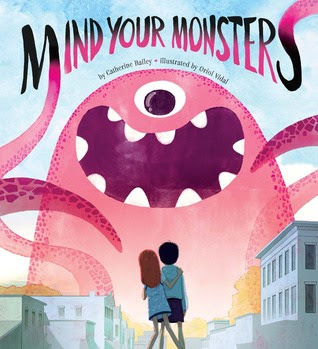 Her first picture book, MIND YOUR MONSTERS, will debut from Sterling Publishing in 2015. Her second, HYPNOSIS HARRY, will be published by Sky Pony in 2016. 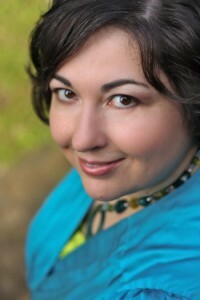 When Catherine is not writing, or editing, or swatting at mosquitoes, she looks after her husband and two children. Her hobbies include reading, 80’s movies, travel, and TJ Maxx. (But mostly reading). Then I turned my back for just a second and... gone. All of them! Rotten monsters. They were some troublesome monsters! And in case you were wondering, monsters do have toxic green ooze inside them. 1. How I did on last week's goals: I hit 5K again (5026). Did not think it was going to happen, but it did! 2. My goals for this week: To finish Necromancy in New Orleans. I so badly want to be able to say: Done! So no word goals, just the 'the End'. Alden isn’t at dinner, just like he wasn’t last night. He must be preparing for the spell, and the murder of six people. 4. The biggest challenge I faced this week: Just the same stuff, trying to fit in words around work and house and kid. Never ending! 5. 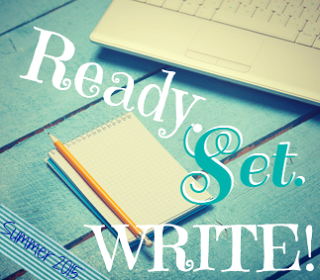 Something I love about my WiP: That it's all about ready to go down in Jackson Square! And ooh, while I was loading this pic (one from our vacation) I decided I should totally have the spider sub-human crawl up on this statue at some point. Wouldn't that be creepy?! I enjoy having days off through the week (though then having to work the weekend is a drag...). I try to do at least one fun w/the kidlet, and yesterday involved going to an indoor playground. It's called the Commons, and I used to play there as a kid too. It's been overhauled since then, and I am totally jealous of that platform/net climbing-thingy. Where was it twenty years ago?! So while the kidlet played, I met with a writing friend, Carrie Beckort. It was great to catch up (while eating Subway, yum! #meatballmarinara) on what was happening w/each other writing-wise, and to talk books, and kids, and just stuff! Afterward, I took the kidlet to the bookstore (it's at the opposite end of the street from the playground, so a nice walk on a beautiful day) and he picked out a glow-in-the-dark superhero book. 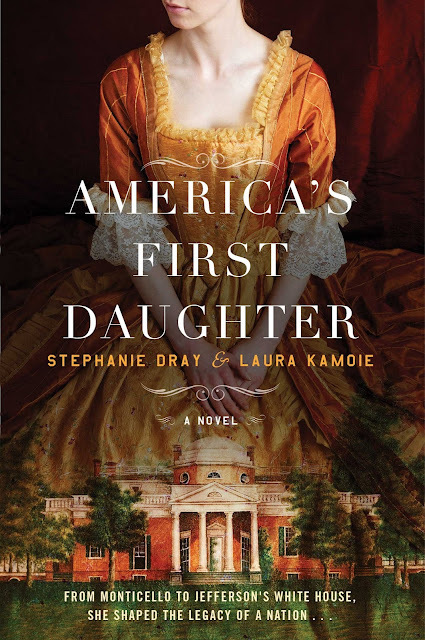 One Super Cute Cover Reveal!